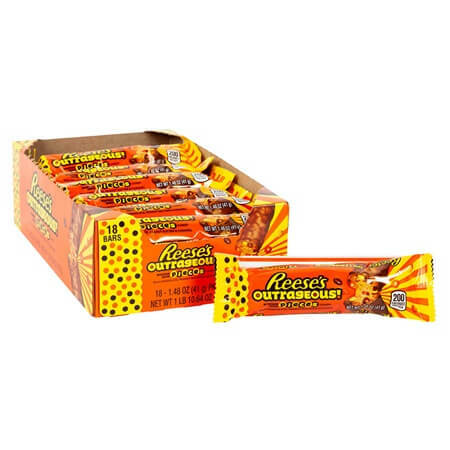 Reese's Outrageous Bar is packed with crazy goodness! 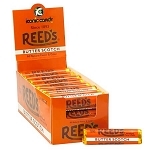 Each 1.48 ounce candy bar comes with milk chocolate intertwined with the flavors of creamy peanut butter, sweet caramel, with an addition crunchy peanuts and sinfully good Reese's pieces. All you have to do is tear it open and sell at your service counters, candy shelves and checkouts to tempt your patrons with one last buy. 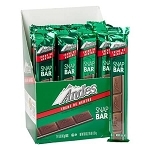 Our wholesale candy bars are ideal when placed in treat bags or used as a gift topper. Don't be ordinary, purchase your scandalous chocolates today!